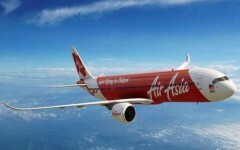 In line with the Government of Thailand’s initiative to promote tourism, the Immigration Bureau of Thailand has partnered with VFS Global to offer the new eVisa On Arrival (eVOA) service that will enable a faster and more convenient arrival process for travellers from 21 countries like India, China, Saudi Arabia, Ukraine, to name a few. 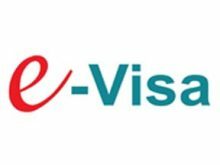 Travellers who are eligible to use the online eVOA service provided by VFS Global will receive their travel authorisation from the Immigration Bureau of Thailand prior to their departure from their country of origin. The eVOA service will be available as of February 14, 2019 on thailandevoa.vfsevisa.com. The new Thailand eVisa On Arrival offers travellers a whole new experience when applying for a travel pre-authorisation to Thailand and when entering the country at the Suvarnabhumi and Don Mueng airports in Bangkok, as well as at Phuket and Chiang Mai airports flying by Thai Airways and other airlines. In three simple steps, eligible travellers can apply online for eVOA for Thailand by visiting thailandevoa.vfsevisa.com anytime, anywhere or get assistance at VFS Global visa application centres across the globe. Travellers receive their pre-departure travel authorisation online before the trip within 24 to 72 hours. 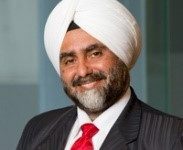 Zubin Karkaria, CEO, VFS Global, said, “With our experience and reliability in providing seamless visa application services across the world, and with the advantages of our eVisa solution, the Thailand eVOA service will further enhance ease of travel to Thailand, and thereby facilitate increase in tourism to the country.